The FDA recently announced its intention to re-evaluate certain authorized health claims in light of new scientific evidence that either supports or calls into question the health claims. This is the first time FDA has reassessed the scientific evidence supporting health claims since the current regulatory regime governing health claims went into effect. A manufacturer may notify FDA that it intends to make a health claim based on an authoritative statement from a federal scientific agency, as provided for under the Food and Drug Administration Modernization Act. FDA has not announced plans to tamper with this basic regulatory framework, but intends to re-examine the following specific claims. In July 2005, the Agency for Healthcare and Research Quality (AHRQ) issued a report titled Soy, Effects on Health Outcomes. FDA notes the conclusion that soy products appear to exert a small benefit on low-density lipoprotein cholesterol. However, it was not clear, either to FDA or in the report, whether soy protein or other soy components were responsible for any effect. FDA has concluded that the AHRQ report raises questions regarding the strength of significant scientific agreement supporting this particular health claim. In 2005, the Institute of Medicine (IOM) issued a report titled Dietary Reference Intakes for Energy, Carbohydrate, Fiber, Fat, Fatty Acids, Cholesterol, Protein, and Amino Acids, which suggested that the association between diets high in fat and increased cancer risk has been weakened by recent epidemiological studies. IOM concluded that the evidence linking consumption of fat with increased cancer risk was not sufficient to consider cancer as a disease outcome in setting an acceptable macronutrient distribution range for total fat. This re-evaluation appears to be based on a May 2006 report by AHRQ, titled Multivitamin/Mineral Supplements, Chronic Disease Prevention. The report did not identify any studies on the efficacy of vitamin C supplements and cancer risk, but concluded that the overall strength of the evidence is low for vitamin E and selenium. FDA intends to review the current scientific literature to determine if evidence continues to support the permitted qualified health claims or whether the language of the health claims should be modified to reflect a stronger or weaker relationship. FDA also is re-evaluating its position on whether cancer-related health claims for dietary fat (authorized) and antioxidants and selenium (qualified), which currently must refer to “certain forms of cancer,” may specifically identify sites affected by cancers. FDA has already considered separate qualified health claims for each type of cancer for some other substances, e.g., tomatoes and prostate, ovarian, gastric and pancreatic cancers; green tea and prostate and breast cancer; and calcium and colon/rectal, breast and prostate cancers and recurrent polyps. FDA notes that the most current scientific evidence indicates the etiology, risk factors, diagnosis and treatments are unique for each type of cancer. FDA’s desire to re-evaluate these claims is sensible and comes at a time when health claims and particularly qualified health claims are often attacked as misleading by consumer advocates. Scientific knowledge regarding diet and health is constantly evolving. 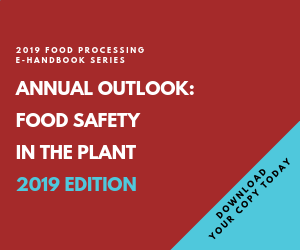 This obviously creates both challenges and opportunities for the food industry, as manufacturers scramble to keep up with the latest information and then hope it remains current long enough to realize a return on investments in new formulations and claims. David Joy is a partner in the Washington DC office of Keller and Heckman LLP. He specializes in food and drug law with emphasis on the domestic and international regulation of food, food additives, food labeling, antimicrobial pesticides, and medical devices. He is a member of the District of Columbia Bar and holds a bachelor’s degree in chemistry. For more information about Keller and Heckman, visit the firm’s web site at www.khlaw.com.